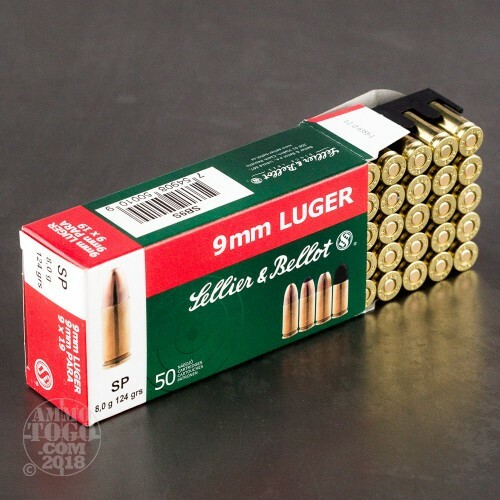 You get 50 rounds of premium Czech-made 9mm Luger (9x19 Parabellum) ammunition. Manufactured by Sellier & Bellot, one of the oldest ammo manufacturers in the world, these loads feature 124 grain soft point projectiles. 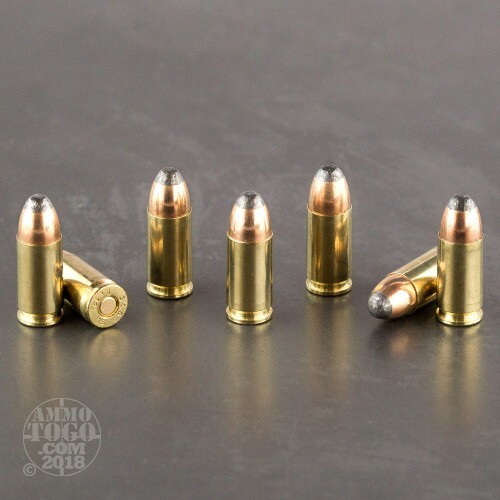 Weighing in at 124 grains, these soft points offer impressive mushrooming and deeper penetration than the typical hollow point. 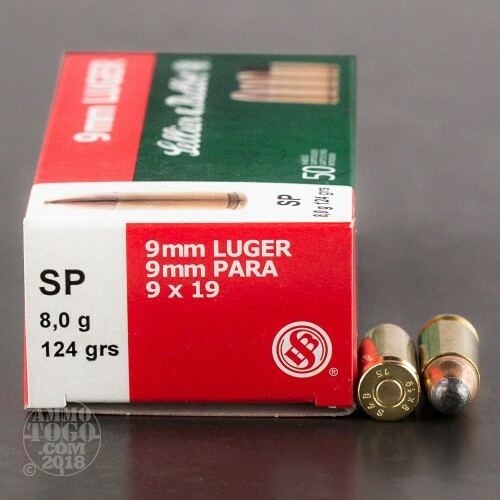 Incredibly versatile, these SP bullets perform well in a variety of applications, from plinking to personal protection. This ammunition is 100 percent non-corrosive and an excellent option for long-term storage. Each primer is sealed with a red lacquer for added moisture protection, and cartridges are packed in oil resistant boxes to offer an extended shelf life. Leaving the muzzle at a velocity of 1165 feet per second, each round produces a muzzle energy of 374 foot pounds. Factory fresh and fully reloadable, these cartridges feature reliable boxer primers and quality brass cases. 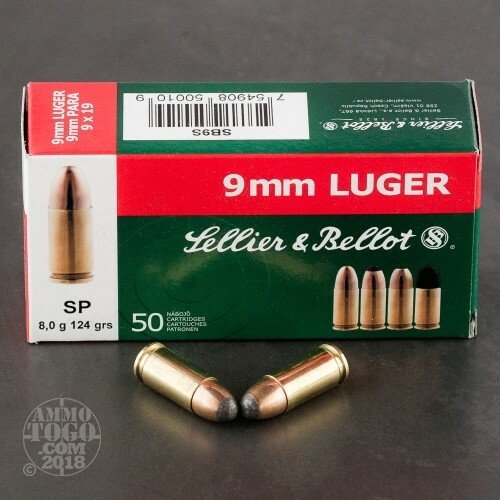 Founded in 1825, Sellier & Bellot is a member of the CBC group of ammunition manufacturers, a group that includes big industry names like Magtech and MEN. With nearly 200 years of experience, this company produces products that rival those manufactured by the big names in the industry.